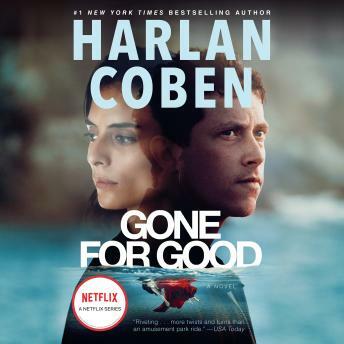 Harlan Coben earned the raves of critics everywhere for his New York Times bestselling thriller, Tell No One, hailed as “pulse-pounding” (People), “compelling and original” (Los Angeles Times), and “a thriller of runaway tension” (Iris Johansen). Now, in a bold new novel, Coben continues to stake out new ground in suspense, unleashing a haunting tale of secrets and betrayal...and of one man’s search for his missing brother that spirals into a breakneck hunt for a killer, a victim, and the truth. As a boy, Will Klein had a hero: his older brother, Ken. Then, on a warm suburban night in the Kleins’ affluent New Jersey neighborhood, a young woman--a girl Will had once loved--was found raped and murdered in her family’s basement. The prime suspect: Ken Klein. With the evidence against him overwhelming, Ken simply vanished, spending the next decade as the elusive subject of rumors, speculation, and an international manhunt. When his shattered family never heard from Ken again, they were sure he was gone for good. Gone for Good is at once a powerhouse of suspense and a haunting tale of love--the love between brothers, between lovers, between family members. It is one of those rare thrillers that not only make the pulse pound, but stir the heart as well. I can't stand this narrators way of reading. He holds out the vowels of the words, it's almost like he's singing.